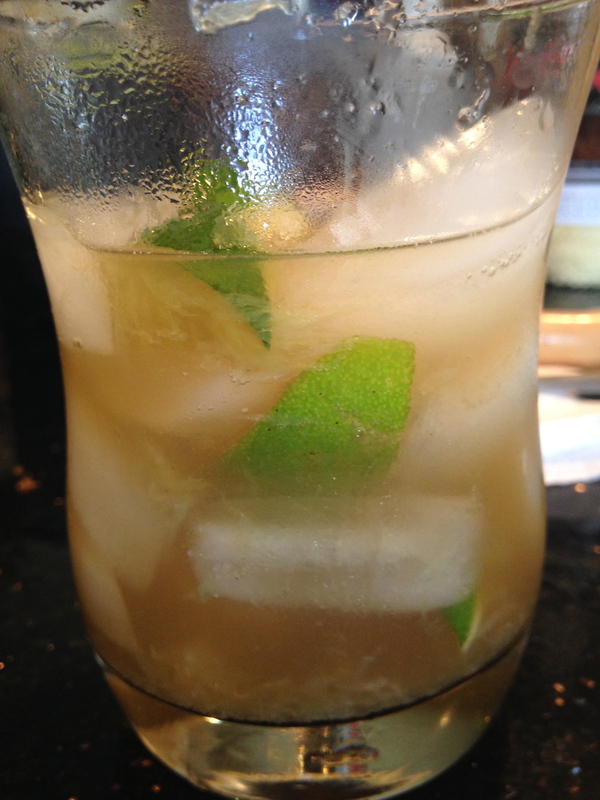 Caipirinha, the Girl From Ipanema, And World Cup 2014! 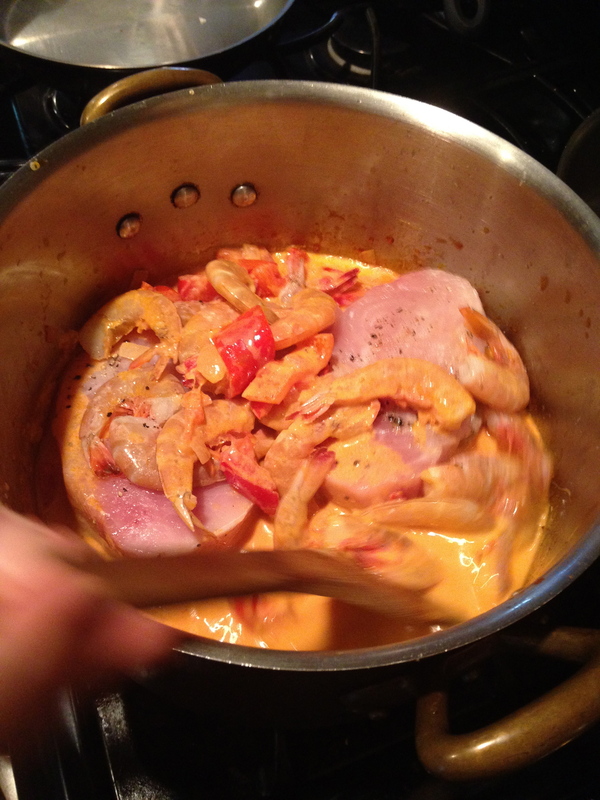 We’re preparing for Brazil vs.Germany and I’m drinking a caipirinha as we cook a Moqueca. Why moqueca? It’s a signature dish from Bahia! Here’s where we are so far. 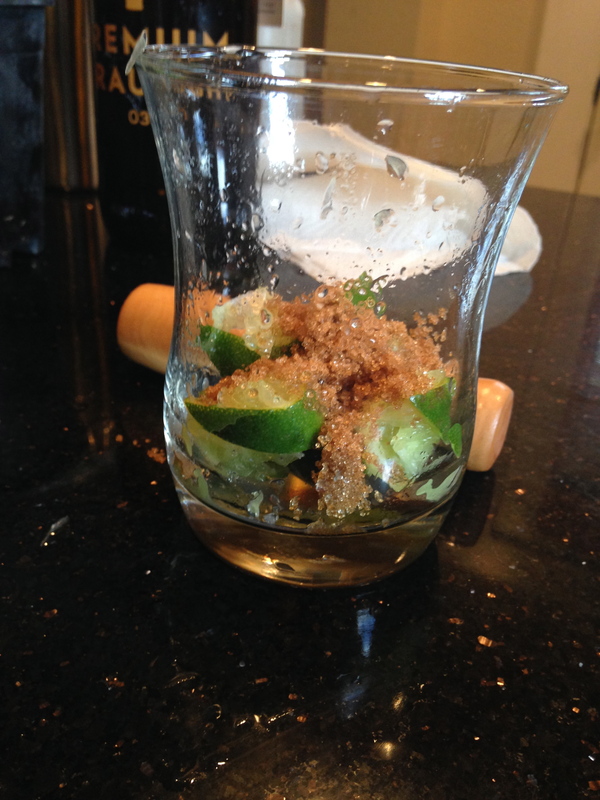 I’ve halved, quartered several limes and added a spoonful of brown sugar. Also, the Rolling Stones on brown sugar. Add ice, cachaca, and here we go! 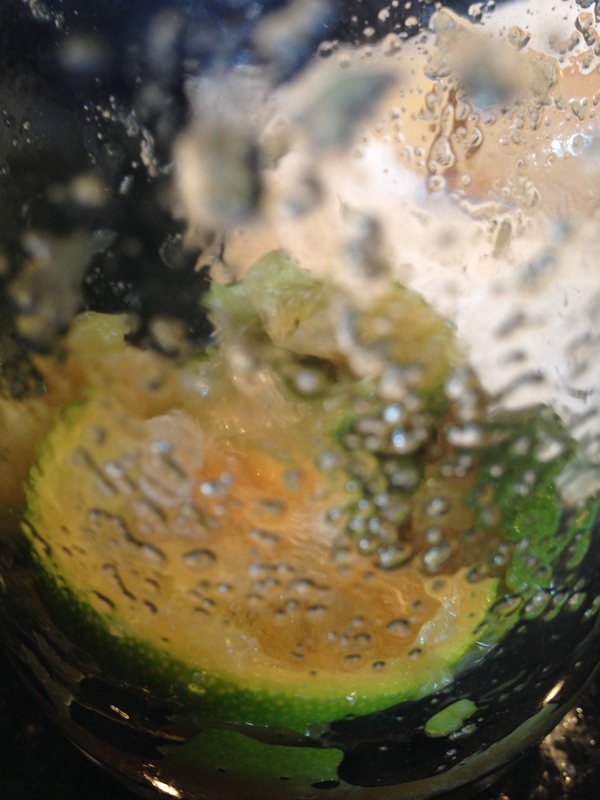 Remember what Anthony Bourdain offers on a caipirinha: “I like them, I like them a lot. What’s magical about this cocktail, The first taste it’s like . . . I don’t know man, it’s a little too something. Then like that second sip, it’s like oh, that’s kinda good. And then the third sip it’s . 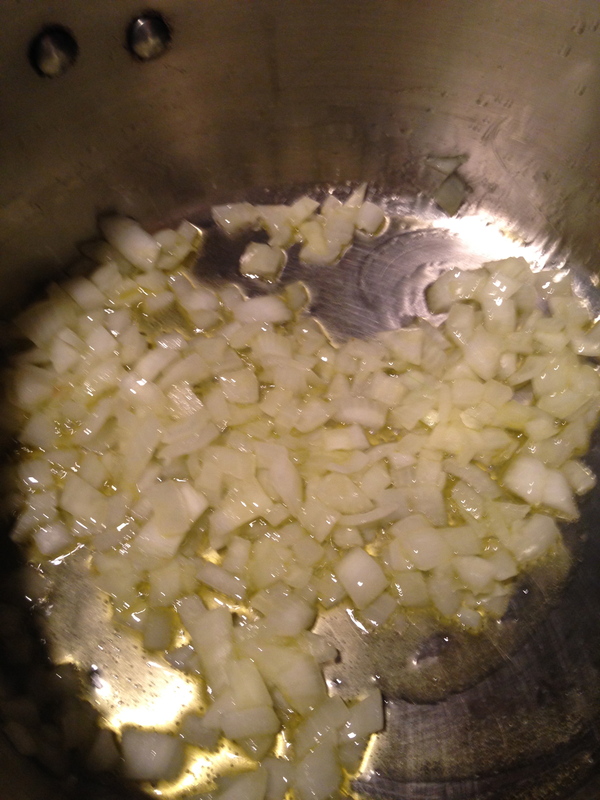 . . where are my pants?” Meanwhile, Gabriela and I begin working on the moqueca. 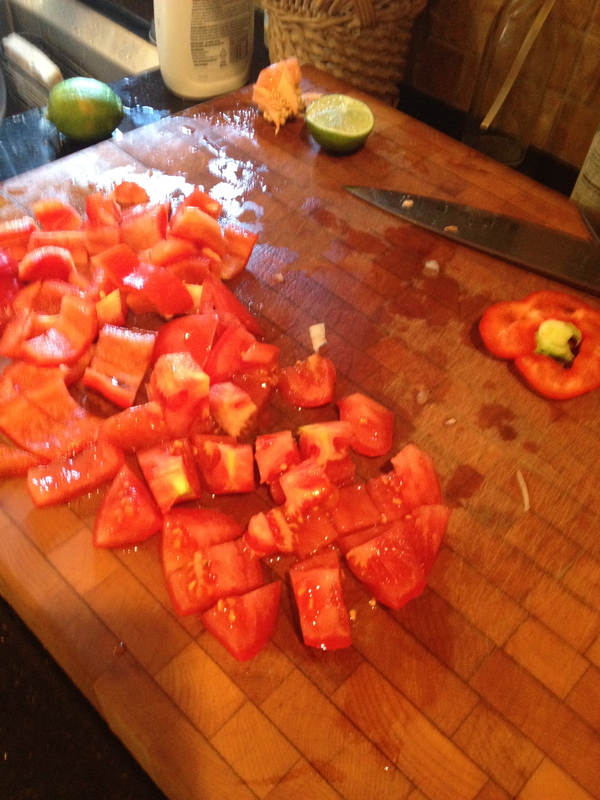 Dice tomatoes and red pepper. 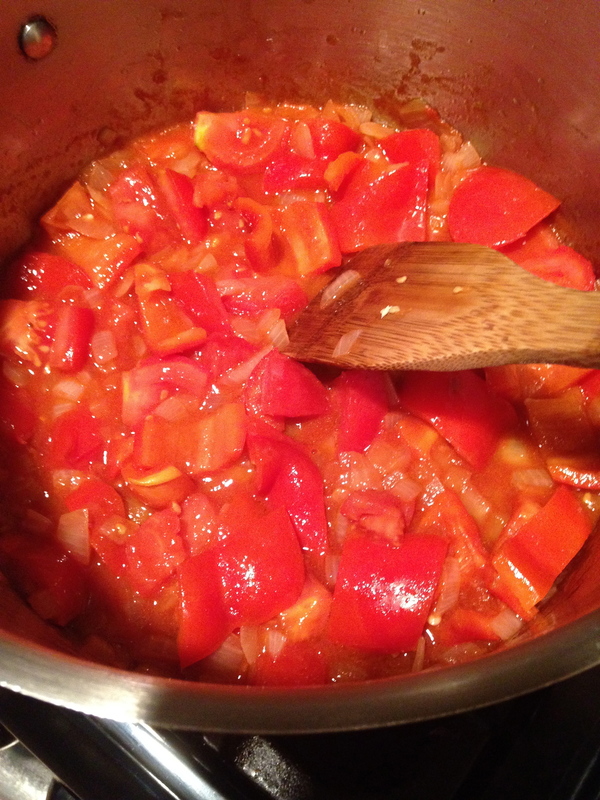 Next step, tomato puree, tomatoes and red pepper in pot with onions. 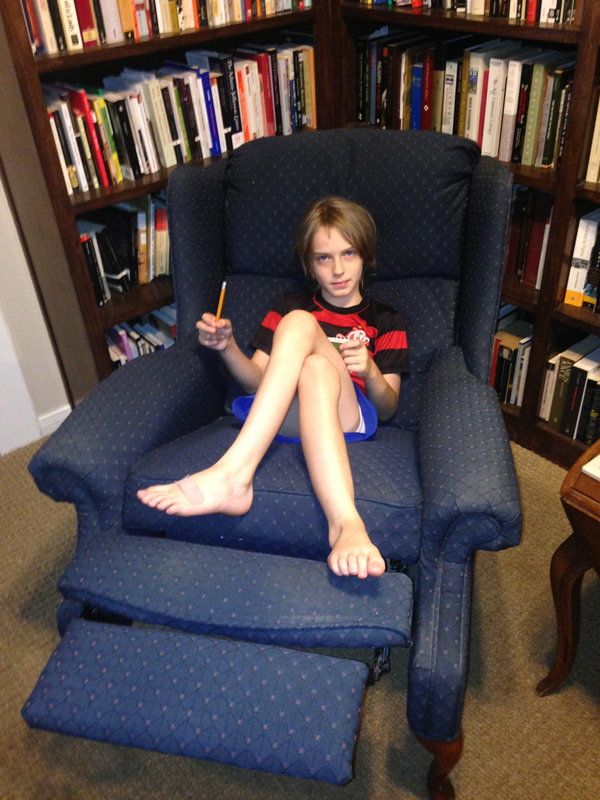 The boy journals on Minecraft. 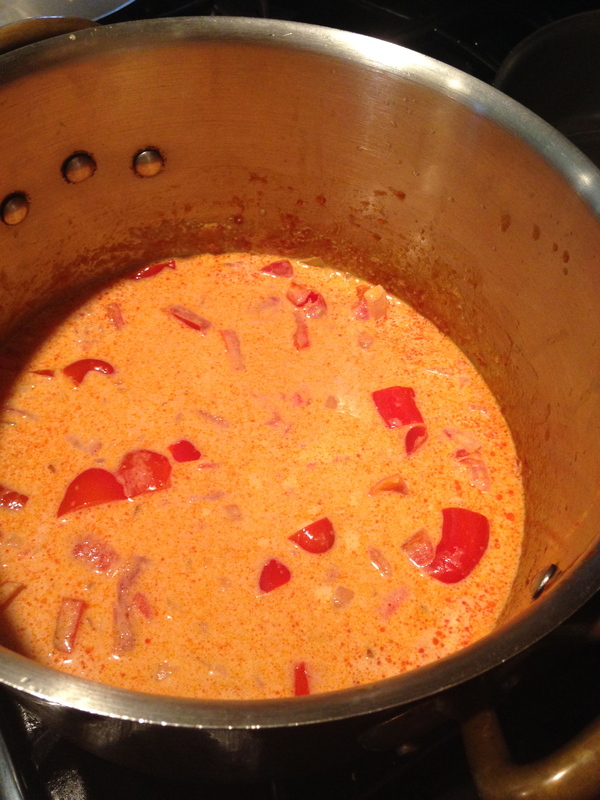 Now it’s time to add coconut milk and palm oil. Fish! Gulf Coast Shrimp and Swordfish. Now, we’re ready for the oven at two-hundred and fifty degrees. Slow fish cooking. Still an hour and a half before the game. We’re cooking and drinking live, so next update should be soon. As for the Girl from Impanema, that’s my wife Gabriela Maya, but here’s Astrud Gilberto and Stan Getz for your viewing pleasure. Well, as you now know, the game did not go the way of Brazilian cuisine. 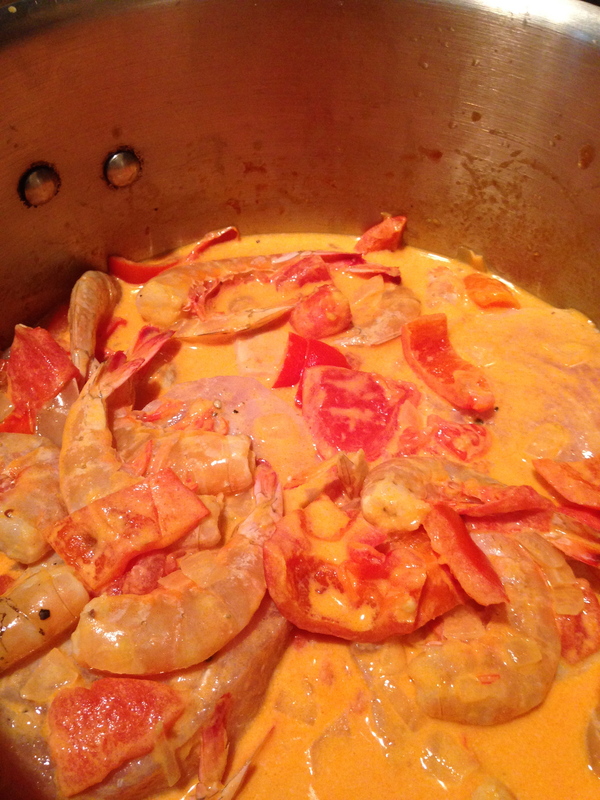 However, here is the final result of our Moqueca experience. 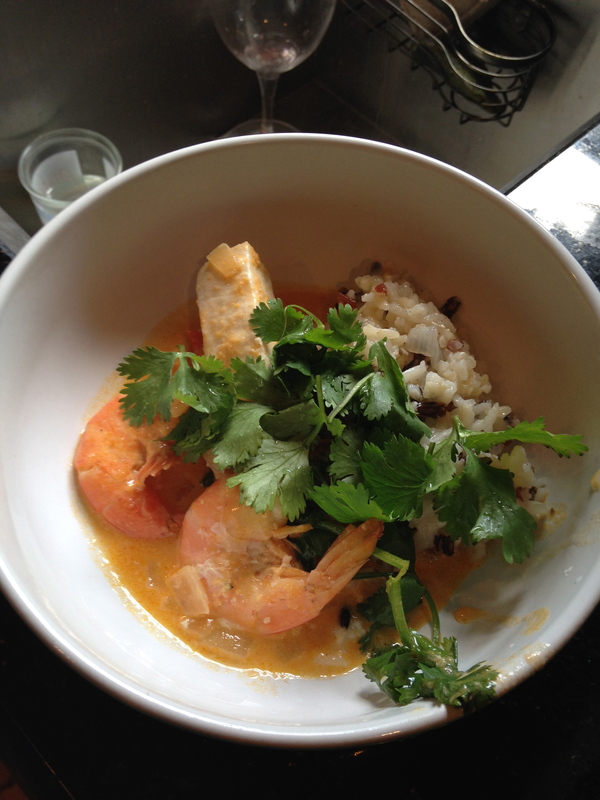 Very nice taste with cilantro and cashews added at the end. All in all, it does take a bit of the sting out of losing 7-1. For the final? 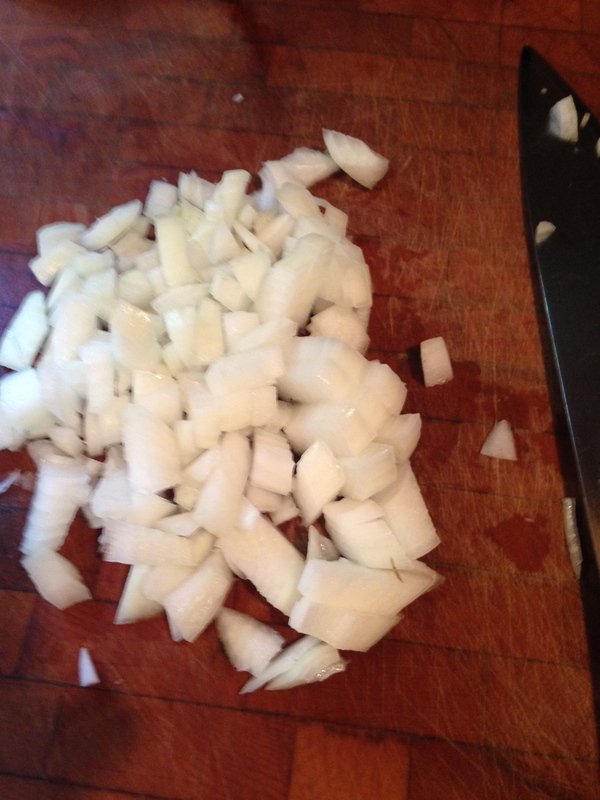 I think we’ll cook a German meal.